This Cartridge Filter Kit includes one replacement filter, one replacement check valve, and an O-Ring for the SoClean 2 Go. The filter and check valve should be replaced every six months. This kit is suitable for SoClean 2 Go units. 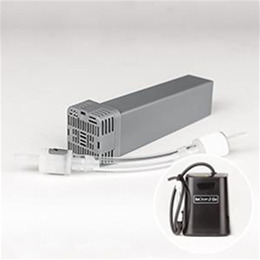 The Cartridge Filter converts activated oxygen back to regular oxygen as it leaves the SoClean 2 Go bag. The check valve prevents water from your CPAP from damaging your CPAP electronics.